Get your private, personal horoscope reading and unlock the secrets of your birth chart. The natal chart provides a “road map” to yourself so to speak, and diving into my own chart has for me been one of the greatest tools for self acceptance. Natal astrology observes the positions of the planets at the moment of your birth, and analyzing the chart indicate the style in which each planet’s component is manifested in your life. 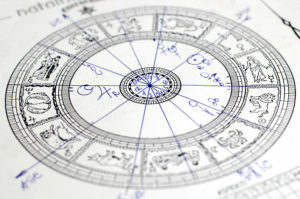 By interpreting the roles of the planets and their qualities (the elements, signs and houses) and creating a synthesis, astrology is able to present a complete and comprehensive picture of you and your potential..The points separating the houses, also called cusps, are obtained by dividing the heaven into 12 parts.